Ishikawa prefecture sits upon the sea of Japan looking out towards Asia. Not only does this give beautiful sea views to Ishikawa but also access to large fishing grounds that influenced the local cuisine. This prefecture has some of the freshest fish and crab in all of Japan. The city of Kanazawa is the capital of the prefecture, acting as a base for the feudal lords in ancient times. Kanazawa is full of historical sights, like the impressive castle. The city was built around samurai families and is very proud of this fact. As well as having a lot of history the city also has a lot of hot springs. The samurai would recover in the onsen after the battle, healing their muscles in the therapeutic waters and you can too. This is our list of the 10 most tourist-friendly onsen ryokan in Kanazawa, Ishikawa prefecture. 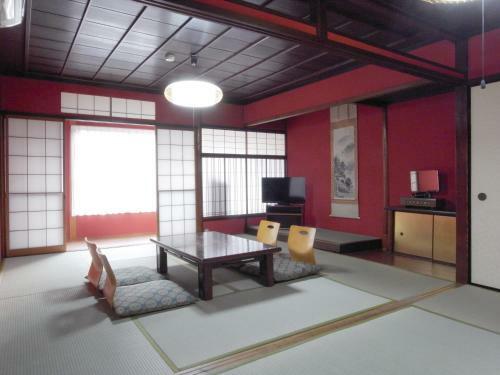 A very convenient ryokan that is located right next to Kanazawa castle. The awesome looking castle is just a five minute walk away. The ryokan it’s self has great looking western-style rooms and its very own onsen inside the building. 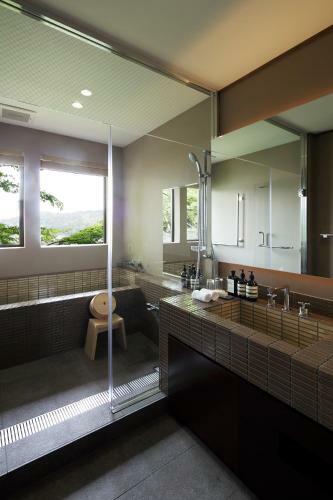 Guests are free to try out the onsen and bathe in the natural volcanic waters that are pumped directly into the bath. One of the few ryokans with disabled access. Often Japanese business and hotels do not have disabled access as it is not enforced by law and nowhere near as common as in the west. 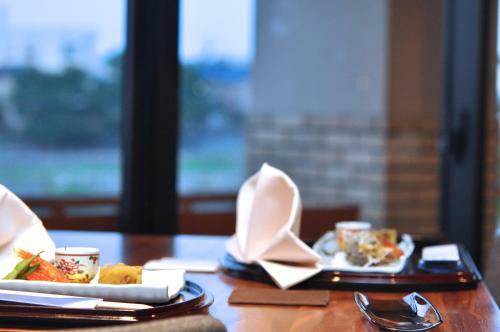 The ryokan has meeting areas that you can use and is situated near Kanazawa’s CBD. Guest get to choose from either western or Japanese-style rooms. 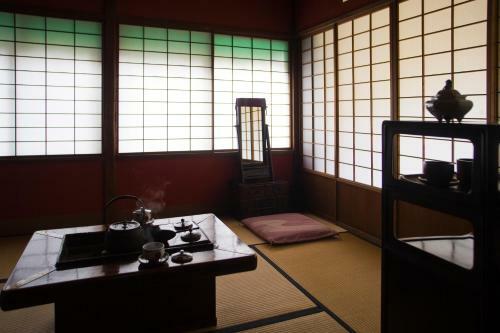 The Japanese rooms have woven reed tatami mat floors as well as Japanese furniture. Guest in these rooms also get to sleep on fluffy futons. It gives you a more authentic ryokan experience to stay in on of these rooms, but for those who need a classic European-style bed, they have those too. 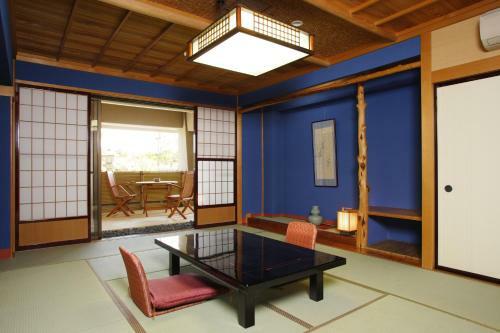 Spacious Japanese-style rooms are waiting for you at the Yuzuya Ryokan Kanazawa Ryokusone. Also, there’s a private onsen for you to rent. The traditional way is to share the bath with others, but as this can be a bit unnerving for foreigners Yuzuya Ryokan Kanazawa Ryokusone offers a more personal experience. The volcanically heated waters are said to be very therapeutic and to fix everything from joint pains to skin problem. Their healing powers are so well known that Japanese doctors regularly prescribe a trip to the onsen. So if you’re feeling a bit sore after all your travels why not try and rest up in the hot onsen baths. 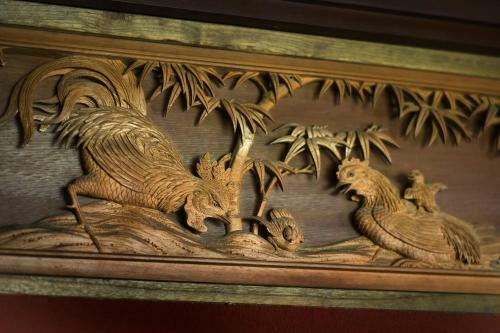 Guests of Kawasawa ryokan get a choice between Japanese and western-style rooms. 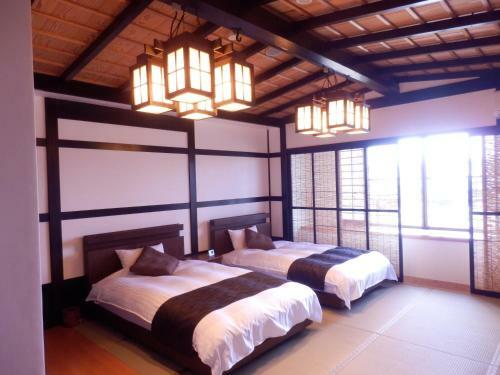 You can either rest up in a big bed or feel the serene atmosphere of traditional Japanese design. Every Japanese room comes with its own beautiful wall scroll and many have a balcony or terrace. The ryokans have onsen that all guests are entitled to use and the onsen also has its very own bar for the guests to grab a drink and unwind! Motoyu Ishiya has been operating for over 200 years. There is a reason they never went out of business, not only are the staff super helpful and polite but the building its self is beautifully designed. There are two types of onsen for you to choose from, you can bathe either indoors or outdoors. Whilst the indoor bathhouse is protected from the elements the outdoor experience is prized by Japanese people as it is the more traditional way to enjoy onsen. Naturally occurring hot springs would obviously have no roof so the ancient Japanese used to bathe surrounded by nature. This allows you to breathe in the fresh air and feel the wind rushing past your head and shoulders as your body beneath the water stays nice and warm. It is the ultimate balance. The ryokan also puts on traditional Japanese folk entertainment such as music and theater. 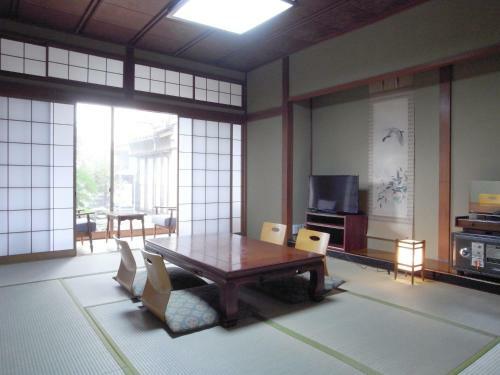 This is the ryokan for those who want to travel around Kanazawa and see the local sights. The castle and Omicho markets are just a five-minute walk away, and the traditional entertainment district is also very close. It’s very well located for getting around and provides an easy place to get back to so that you can relax after walking around all day. 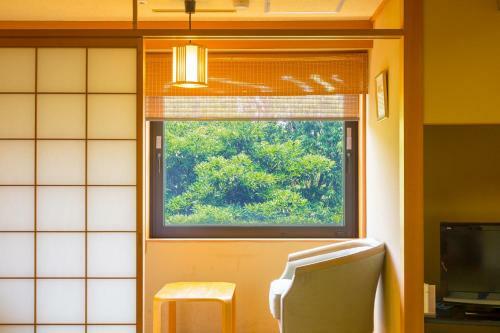 You can kick back in stylish Japanese-style rooms with traditional furnishing and try out the ryokan’s onsen to heal any muscle pains you get from all the traveling. A classy ryokan with huge rooms to relax in, Yuyaruru Saisai is a great place for someone who enjoys the finer things in life. Not only are the Japanese-style rooms fitted with state of the art gadgets but they also have amazing views of the Sai River that flows near the property. 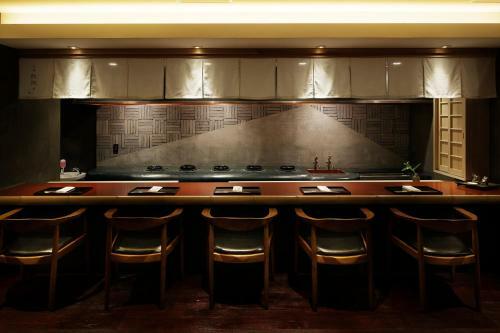 Guest are encouraged to join the staff for dinner at the Kiyokawa restaurant and bar on the ground floor. They serve traditional Kaiseki meals. These meals are made up of multiple smaller courses that come together to form a full meal. You are gifted with various different small samples of food, each dish totally unique so that you can experience the whole range of local cuisine in just one meal. Ryokan Asadaya is a high-class establishment that sets out to pamper its guests. 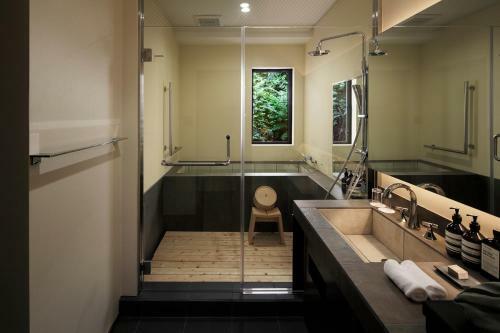 Visitors are given luxurious Japanese-style rooms with access to a semi-outdoor onsen. There is also a garden for guests to take a romantic stroll through. They are also excited to share their specialty dishes with you. Customers at the in-house restaurant can try all sorts of unique Japanese foods such as Fugu, the dangerous pufferfish. All of the dishes are prepared to a high standard and the chefs are licensed to handle Fugu, so why not try the infamous dish? Access: By car: Exit the Hokuriku Expressway at Kanazawa-nishi IC and continue along Prefectural Route 25 (Senkoji Noda Line) for about 20 minutes (5 km). From Komatsu Airport: Take a limousine bus bound for Kanazawa Station and get off at Kanazawa Station West Exit (about 40 minutes). [To JR Kanazawa Station] - From Tokyo Station: About 150 minutes via Kagayaki Hokuriku Shinkansen. - From Kyoto Station: About 130 minutes via limited express train. From Kanazawa Station East Exit: Take a bus bound for Korinbo via. Hirokoji from Bus Stop 8, 9 or 10 and get off at the Musashigatsuji / Omicho Market bus stop (about 7 minutes). Continue on foot for another 3 minutes. A quaint little ryokan that overlooks the Sai river. Takitei onsen ryokan likes to keep things traditional and serves the finest local cuisine. 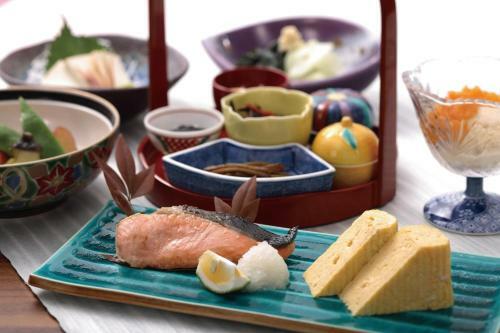 Guests can dine on local specialties that explore sides of Japanese cooking often not tasted by westerners. You’ll be eating far more interesting and delicious foods than just Sushi and noodles. The ryokan is especially proud of their outdoor onsen. You can relax in this bath beneath the stars and feel totally at peace. Access: By car: Exit the Hokuriku Expressway at Kanazawa-nishi IC and continue for about 35 min (20 km). From Kanazawa Station (JR Hokuriku Line), East Exit: Take a Hokutetsu Bus bound for Tobu-Shako or Kanazawa Gakuin Univ. to the Sue (Takiteiguchi) bus stop (about 35 min), and it is about 15 min on foot from there. *The route goes: Kanazawa Station == city central area (Kenrokuen Garden, etc.) == Takitei. It is convenient to take a bus from the nearest sightseeing area. [By Taxi] - From Kanazawa Station: About 30 min. - From Kenrokuen Garden: About 15 min. - From Higashi Chaya District: About 20 min. - From Ninja Temple (Tera-machi): About 20 min. A great little ryokan located in the suburbs of Kanazawa. It was originally established in 1836 and has been a thriving business thanks to its kind staff and well-maintained features. Guests are served kaiseki multi-course meals all made with local, seasonal ingredients at the in-house restaurant. 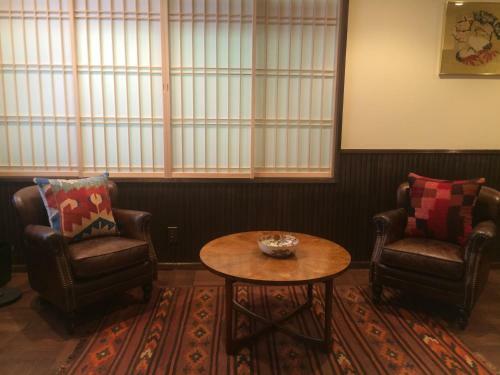 The rooms are mostly Japanese style but there are some more Westernized rooms for those who prefer. There are various onsens including an open-air bath that is most refreshing. Access: 1. By Train or Plane [Pick-up] From Kanazawa Station: Take the JR train to Matto Station (10 min). About 20 min via shuttle bus from there. Or about 20 min by shuttle bus from JR Komatsu Station or Komatsu Airport. The shuttle bus operates regularly from Matto Station. From Komatsu Station and Komatsu Airport a request is required. Both require reservations at least 1 day in advance (please directly contact the hotel). [Shuttle Bus from JR Matto Station] Arrival Times: 12:39, 13:41, 14:10, 15:11, 16:04, 16:41, 17:11, 18:10 Please notify the hotel of your scheduled arrival time from the times listed above. [Drop-off] Dep. for Matto Station: 8:45, 10:05, 10:55 Dep. for Komatsu Station: 9:30, 10:30, 11:00 For those going to Komatsu Airport, please ask for the timetable when checking in. 2. By Car About 15 min from Komatsu IC on the Hokuriku Expressway. About 30 min from Kanazawa. An interesting part of Japan with a pleasant climate. 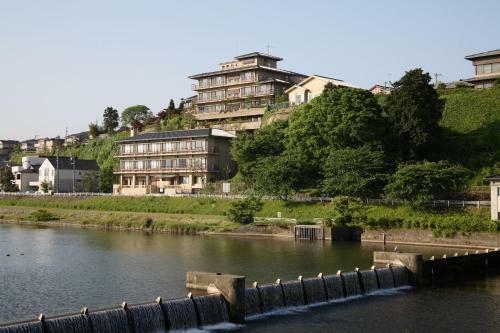 The onsen here is kept to a high standard and will provide a good experience for any tourist.